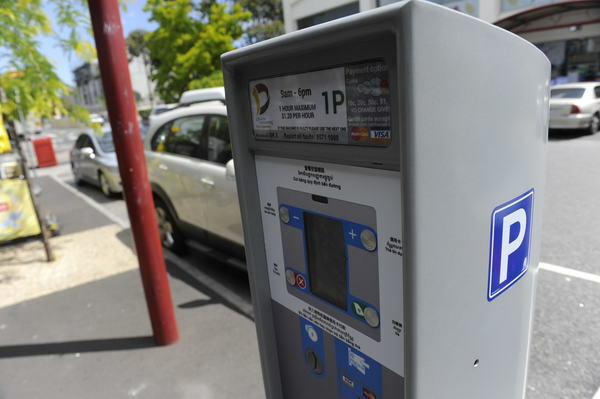 A council decision to remove Springvale’s parking meters could be short-lived. Greater Dandenong councillor Sean O’Reilly has filed a motion to rescind the decision made at the Monday 27 February meeting. A council officers’ report recommended keeping the meters and citing figures that showed increased economic output and improved parking space occupation and turnover. But Cr Youhorn Chea successfully moved, seven votes to four, to unconditionally abolish the pay and display parking fee system following complaints from residents and businesses since they were installed in November 2015. The 40-plus people in the gallery applauded as he spoke to the motion. Cr Heang Tak said the council introduced the meters to manage parking demand but feedback had convinced him that they hadn’t done the job. Cr Roz Blades attacked arguments that the parking fee was just over $1 an hour. “There are a lot of people in the area who can’t spare an extra dollar,” she said. She said shoppers were shifting to nearby precincts because they were scared of parking fines. “We brought Springvale back from the brink,” she said. “We brought it back from Heroin City to Sensational Springvale. But Cr Matthew Kirwan said that he had found central Springvale to be “buzzing like it had been before – but without the parking and traffic management issues” during his regular visits over the past year. He said the officers’ report showed that economic output was up by 7 per cent since the meters had been installed and that parking occupancy and turnover rates had both increased. Cr Kirwan said that revenue from the meters was a secondary consideration. “Having a fund of almost $1 million per year to continue to improve central Springvale means an ongoing series of improvements to the Springvale activity centre will be more easily possible,” he said. After the meeting, Cr Kirwan said the report also found no evidence to suggest that parking meters had any detrimental impact on retail activity, community uses or parking in residential streets. He said the report also found that fines dished out to drivers who overstayed parking limits had dropped, and that “there will be fines whether there are parking meters or not as there will still be time limits”. Cr Sean O’Reilly said the centre would lose people who said they wouldn’t pay a single cent for parking. After the meeting, Cr O’Reilly filed a rescission motion that voids the decision and brings the matter back to the Tuesday 14 March meeting. He said that vocal traders had won out over “the comparatively silent majority of shoppers and many traders” who acknowledged improved traffic and parking. “They should make their views known to councillors so that all aspects are fully considered before the issue is finally decided,” he said. Cr O’Reilly also told the Journal that it would cost $300,000 to remove the meters and that the council would need to employ more enforcement officers.